Where Are Paula Deen's Black Friends? 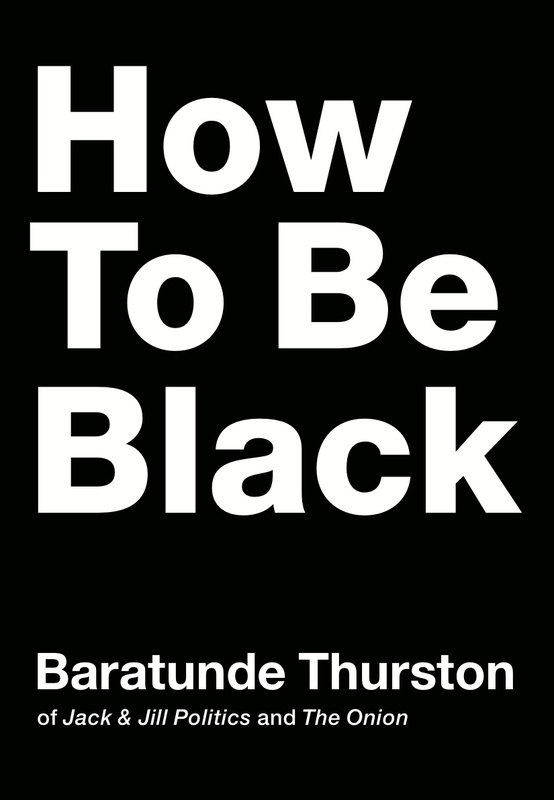 It's funny to me that Paula Deen became "Racist of the Week" as I am in the midst of reading Baratunde Thurston's hilarious satire text How to Be Black. Just as the headlines hit that Paula Deen was being sued by a former employee and the details of her frequent use of the N-word became public, I had just read Thurston's characterization of the nationally important Black Friend. In short, Thurston describes the Black friend as critical double agent who is able to maintain their "blackness" while being equally skilled at navigating mainstream spaces. Thurston goes on to detail the types of instances where a Black Friend keeps controversy from arising, and the Paula Deen moment is a perfect example of where a one would've been useful. It boggles my mind that in 2013 there are still people who don't have to deal with someone of a different ethnicity in some way shape or form, that would help them understand the PC rules for being a public figure. This is particularly the case for someone like Deen who has a career based in making diabetes-causing Southern comfort food. George W. Bush had Condi and Colin Powell, Frank Sinatra had Sammie Davis, Jr., Forrest Gump had Bubba (I know, that's a stretch). When I heard of how Deen allegedly said out loud that what would really make a good Southern wedding would be to have a "bunch of little Ni&&ers to wear long-sleeve white shirts, black shorts and black bow ties", I immediately thought No Black Friends. Which is unfortunate for Deen because now she's going to lose her contract on the Food Network, and probably a few endorsements. She'll be in image rehab sessions with Michael Richards reminiscing about how big they used to be. As a Black Friend to more than a few, I pride myself on steering my friends of different ethnicities away from behavior that might cause them public humiliation. It's not even anything that I have to do explicitly. If they are really my friend, then feeling like they would have any license to use the N-word around me or any other Black person should never cross their mind. If they're my friend, then I can tell when a question is asked out of true curiosity as opposed to mockery (Do Black people tan?) 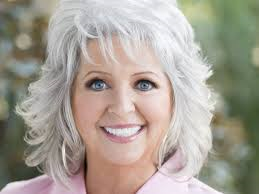 I thank Paula Deen for the most recent reminder that we do not in fact live in a Post-Racial world, and I call upon all fellow Black friends to keep educating the masses. This is the only way that we'll make progress. If you're tired of teaching, buy a copy of How to be Black for a friend. They'll be entertained and educated at the same time. I've been a father for almost seven years now, and I feel like I've entered into the zone where my ability to be a full package father will be most necessary. My oldest is now demonstrating a DVR-like memory which tells me that he digests everything I say and do. Being that it is Father's Day tomorrow, I'm reflective today on both what it means to be a father and what my father did for me. In 2013 it is critical that we strive to have our children understand the full experience of being a man so that when they grow up, they are prepared to thrive in their own home and the workplace. I am thankful to my father for his ability to model this balance for me and my siblings growing up. My father was rarely without two jobs when I was a youngster. There was private school tuition, music lessons, and swim team dues to be paid for. Somehow he still managed to find time to drive me up and down I-95 to swim meet after swim meet and discipline my brother, sister, and I with his famous monologues when we got in trouble. The subliminal message that I have carried into fatherhood is that yes it is important to do all that you can to provide for family, but it is equally important to make sure that you are making time to nurture relationships with your children and teaching them life's lessons through both direct and indirect communication. A constant theme when my dad would talk with me was the difference between creating a child and fathering one. He demanded that I grow up to be responsible enough that I could be a father. He also deomonstrated his respect and devotion to his household by never stumbling around drunk in front of us and sacrificing his own material gatin so that we could have. All of his lessons have prepared me to be a father in an increasingly difficult world for a father to navigate. When I look at my boys and think about all that I want them to experience (and avoid) in the world, the most important thing that I hope to pass on is that they fully embrace their own sense of manhood. I want them to know that it is okay to to feel and exhibit the full range of human emotions and live a life of faith. They should recognize the humanity in every person they come across and realize that they can be great relationship partners. When they become fathers, they are more than just providers, they are whatever their children need them to be. If they can do that, then they'll have more than earned the tie, pack of underwear, or card that they get as a gift on Father's Day to go along with the big piece chicken and a tall glass of grape Kool Aid. - The NBA Finals have been excellent theater, and though the games have not all been close, it has been interesting to see the adjustments that impact each game and who is able to elevate their play to have an influence on the outcome. It`s easy in a social media influenced world to get swayed by negative micro analysis, but I remember when the Lakers and Celtics, Lakers and Bulls, or the Rockets and Celtics played ugly games. History has not diminished those teams because of those moments so I'll continue to take each game for what it is and see where the chips fall in the end. Tim Tebow somehow managed to get a job though by all analysis, he has no business trying to be an NFL-level quarterback. Guess it does pay off to have a "Work harder than everyone" narrative following you around. I hope it works out for the young man, and I hope he learns to stay away from the microphones this time. He's not Tom Brady. I'm wondering when we will hit the point where we're tired of building reality shows around black women backstabbing and throwing drinks on each other. As if NBA Wives wasn't enough, now we've got a proliferation of R&B Divas shows. Guess everyone wants to get their NeNe Leakes on now. I'll be glad when this cycle of TV programming runs its ourse. The Mrs. Makes More. So What! A new study by the Pew Research Center made waves this week as it revealed that in four of ten households, the female is the breadwinner. It sparked a response by this Lou Dobbs panel on Fox News where they made it sound as if society is now doomed to crumble because more and more women are now outearning their partners (5.1mil in 2011). Unbelievably, the panelists spoke of the "harm" this could cause children, and how we're going to lose a generation due to this new social order. In addition to the completely short-sighted, sexist arguments, I was puzzled by how this was even surprising given the statistics, particularly in Black and Brown communities. The rate of women matriculating to college, and therefore putting themselves in position to obtatin high-paying professional work, outpaces their male counterparts by almost a third according to the National Center of Education Statistics (NCES). In addition, it's a stretch at best to correlate earning potential with a man's desire for a partner. For over a decade now I have been married to a woman who has always made more than me. It didn't stop her from saying yes when I proposed, and it hasn't stopped us from raising two "marginally" well-adjusted boys, so forgive me if I don't see what Lou Dobbs and his panel are asserting. Marriage is a partnership and the ones that last recognize that it doesn't matter how the resources come in, it just matters that they come in so the bills can be paid. I'm happy in my profession and my wife is happy in hers so where's the destruction of American "moral fiber"? What the Dobbs' panel seems to be missing is that gender is not tied to what you earn. I am not less of a "man" because I make less than my wife, nor would I be if I didn't make anything at all because I was unemployed. The Dobbs panel and news articles with the same tone are dangerous because they send the message that old gender roles should still rule the day when that is far from reality. They also send the message to young men that they are less than if they can't make more than their partner, and that really isn't the foundation a healthy relationship should be built on. What is of concern is that of the 8.6 million single-mom breadwinners, the median income is only $23,000. The majority of these women are more likely to be Black or Latino and are not college educated, which limits their earning potential. Yes, children born to single-moms can "make it" (see Barack Obama), but it is a tough road to hoe without tremendous amounts of support. We do need to adjust the message that we send to teens who get pregnant. Rewarding them with the chance to be contestants on reality shows is not the direction we should continue to move towards.